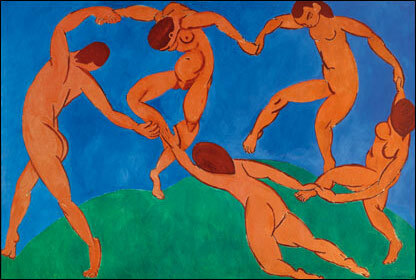 Take a close look at Matisse’s painting The Dance, shown above. What is it about this painting that makes it “pop”? The dancers seem like they’re almost floating on top of the background. Why is that? You’ll notice that yellow and blue are also complementary colors. Red and green make up another complementary pair. When complementary colors are placed next to each other in a painting or drawing, the artwork seems to vibrate. Complementary pairs can make an artwork more eye-catching and dynamic. For this reasons, many artists (like Matisse) make the conscious choice to use complementary colors in their compositions. Making money online isn’t as simple as many think even though there are lots of ways one might do it, such as playing games, mining bitcoins, creating a YouTube channel, or just creating a blog. But the Internet allows much more than these methods, and that is to make money out of your hobbies. Computer builders can advertise their skills and make client builds, graphics specialists can make custom designs and sell them and the list goes on and on. One hobby is quite common and and the possibility for getting fair compensation is quite high: photography. Be it digital photo manipulation or old school photography, those who have this hobby can sell their photos and make a pretty buck from it. Of course, your photos must be good if you want to sell them. What types of photos can you sell? Pretty much any type of digital media can be sold. If you own a quality camera, like a DSLR, you can take artistic photos or stock photos. There is a big market for stock photography, as digital artists use these photos to create others from them. Also, in the same category of stock photography are texture photographs, which can also be done with a high quality camera. Note: Stock photography requires you to have a DSLR camera, as you need the high resolution provided by these devices. This is especially true for texture photography, where the textures need to be high resolution and high quality. Artistic photography can also bring you some money, but there are many photographers out there that are very well known and take stunning pictures of all types (portraits, landscapes, nature, sports, macro, etc), and making a name for yourself is pretty hard, but if you are talented, then you will succeed. Digital compositions can be sold in numerous places and graphics designers have made a living out of creating awesome photos from scratch or from stocks, using specialized software, such as Adobe Photoshop. If you don’t own a powerful camera, and you don’t like going out and searching for the best frame, then this might be the one for you. But keep in mind that programs like Photoshop are very hard to learn, and becoming proficient with them will take months if not years of hard work. Q: How much money can I make from selling photos? A: It greatly depends on how well your photos are discovered, how many you sell and what percentage of the cost of the photos you receive from the service you use. Q: How long before I get any payment? A: Again, it depends on how quickly your photos are discovered, how good they are, how affordable they are and of course, on what people need. Q: Do I have to invest anything? A: In some cases, yes. There are many websites that allow you to upload photos for free, or try a demo of their services, but many require either a one time buy or a regular subscription. Q: What is the best solution for selling photos online? A: Both ways have their advantages, what it boils down to is the time you plan on investing in this and of course, the budget. Even though the concept of selling pictures online is pretty straightforward, there are some aspects that you should consider. By following these simple guidelines you will get a head start in your endeavor and make a name for yourself. After all, being known by people is half of the way, and once you make yourself known to the customers, you will have better chances of selling your photos. Before you start selling your pictures online, you might want to do a little reading on photography and composition, as you will need these skills to later take good pictures. Also, if you are using Adobe Photoshop to compose or edit photos, then look at a few tutorials and learn how to use it. Finding your niche is a good way to start. Everyone likes different things, therefore, they will do better at taking pictures or composing on different themes. Experiment with a number of models and see which pleases you the best. For some, macro photography is best looking, and for others, it might be astrophotography. Get your gear ready, be it your DSLR camera or your editing software. Now that you learned a bit about them, you will know what you need to make the best pictures, and if you discovered your niche, then you will need specialized tools and equipment. Don’t discard photos even if you don’t particularly like them. Beauty lies in the eyes of the beholder, therefore someone might like a photo that you find mediocre, or they might hate what you think of as your masterpiece. Keep your photos organized! You might not upload all your photos at once to a website to sell them, so keep them handy for later on. Also, you might have more than one niche, and so, you will have to organize them for better access. If you are doing stock photography and other types of photography at the same time, you will have to sell them on different websites and having them organized will help you a lot. Make yourself a portfolio and show customers what you can do. This is especially necessary if you plan on creating a Print on Demand shop. Scout all the websites that sell photographs and upload your work. The more sources you use, the more likely it is your photos will be found and bought. Don’t get discouraged if your photos are rejected for whatever reason by some websites, just keep trying in other places and you’ll get there. If by any chance some of your photos are rejected everywhere, do the next best thing: offer them for free download, under your name and watermark. This will make you known to the customer base and you might end up with some fans who will buy your other photos. Do some advanced research on selling photos online. There are a number of books that might help you achieve your goal. Here are a few of them: 99 Ways To Make Money From Your Photos, Sell & Re-Sell Your Photos, Photographing Arts – Crafts & Collectibles, Sell Photos Online. Where to sell pictures online? There are two ways to go about selling your pictures online. First off there are websites that allow you to open an account and upload your photos to your gallery. These websites are used by thousands of photographers and customers and offer a simple and effective way to sell photos online. The other type of websites or services that you can use to sell your photos online is the online portfolio builder, where you use the dedicated tools to create your own website and have your own gallery. This allows users to better customize their pages and have nice looking websites that reflect the type of pictures they want to sell. These are only a few of the tools that you will use in your pursuit to sell your pictures, as there are many other tools out there that might help you. Remember to do solid research before you commit to a service or a website and try to use well known services that others have used and recommended. The psychology of color as it relates to persuasion is one of the most interesting—and most controversial—aspects of marketing. To alleviate this trend and give proper treatment to a truly fascinating element of human behavior, today we’re going to cover a selection of the most reliable research on color theory and persuasion. Why does color psychology invoke so much conversation … but is backed with so little factual data? As research shows, it’s likely because elements such as personal preference, experiences, upbringing, cultural differences, context, etc., often muddy the effect individual colors have on us. So the idea that colors such as yellow or purple are able to invoke some sort of hyper-specific emotion is about as accurate as your standard Tarot card reading. Don’t fret, though. Now it’s time to take a look at some research-backed insights on how color plays a role in persuasion. First, let’s address branding, which is one of the most important issues relating to color perception and the area where many articles on this subject run into problems. … but the truth of the matter is that color is too dependent on personal experiences to be universally translated to specific feelings. But there are broader messaging patterns to be found in color perceptions. For instance, colors play a fairly substantial role in purchases and branding. 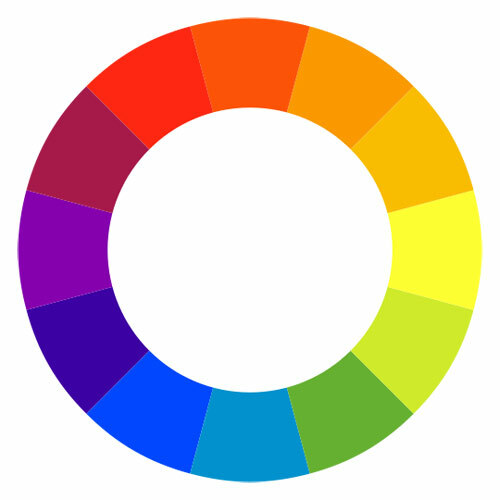 And in regards to the role that color plays in branding, results from studies such as The Interactive Effects of Colors show that the relationship between brands and color hinges on the perceived appropriateness of the color being used for the particular brand (in other words, does the color “fit” what is being sold). The study Exciting Red and Competent Blue also confirms that purchasing intent is greatly affected by colors due to the impact they have on how a brand is perceived. This means that colors influence how consumers view the “personality” of the brand in question (after all, who would want to buy a Harley Davidson motorcycle if they didn’t get the feeling that Harleys were rugged and cool?). Additional studies have revealed that our brains prefer recognizable brands, which makes color incredibly important when creating a brand identity. It has even been suggested in Color Research & Application that it is of paramount importance for new brands to specifically target logo colors that ensure differentiation from entrenched competitors (if the competition all uses blue, you’ll stand out by using purple). When it comes to picking the “right” color, research has found that predicting consumer reaction to color appropriateness in relation to the product is far more important than the individual color itself. So, if Harley owners buy the product in order to feel rugged, you could assume that the pink + glitter edition wouldn’t sell all that well. Certain colors DO broadly align with specific traits (e.g., brown with ruggedness, purple with sophistication, and red with excitement). But nearly every academic study on colors and branding will tell you that it’s far more important for your brand’s colors to support the personality you want to portray instead of trying to align with stereotypical color associations. Consider the inaccuracy of making broad statements such as “green means calm.” The context is missing; sometimes green is used to brand environmental issues such as Timberland’s G.R.E.E.N standard, but other times it’s meant to brand financial spaces such as Mint.com. And while brown may be useful for a rugged appeal (think Saddleback Leather), when positioned in another context brown can be used to create a warm, inviting feeling (Thanksgiving) or to stir your appetite (every chocolate commercial you’ve ever seen). Bottom line: I can’t offer you an easy, clear-cut set of guidelines for choosing your brand’s colors, but I can assure you that the context you’re working within is an absolutely essential consideration. It’s the feeling, mood, and image that your brand creates that play a role in persuasion. Be sure to recognize that colors only come into play when they can be used to match a brand’s desired personality (i.e., the use of white to communicate Apple’s love of clean, simple design). Without this context, choosing one color over another doesn’t make much sense, and there is very little evidence to support that ‘orange’ will universally make people purchase a product more often than ‘silver’.